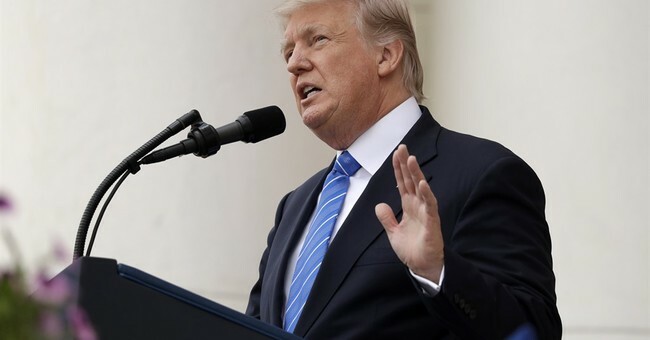 President Donald Trump is expected to withdraw from the Paris Climate Agreement, which would mark another victory for taxpayers. This agreement, which bent legislative procedure in order to be passed, tramples on taxpayers. Former President Obama, in an attempt to seal his legacy of environmentalism, made the deal an “executive agreement”, similar to an executive order, so that the Senate would not have the opportunity to input. The former president endorsed the costly deal on behalf of the United States with no opportunity for the legislative branch to provide input. The economic wreckage that this deal would cause in the long-term is staggering. The precedent set by the agreement would force American families and workers to pay absurd utility costs, causing even more economic turmoil. According to a study conducted by the National Economic Research Associates Economic Consulting, the deal would cut 6.5 million in industrial sector jobs, eliminate $3 trillion in potential GDP and eradicate $7,000 in household income, per capita, all by 2040. The deal would not raise wages or contribute to job growth; it would also cut jobs in the long-term. Worst of all, the deal would be detrimental to the American economy on a global level. The rest of the United Nations would continue to expand their economic output while that of the United States decreased dramatically. The Heritage Foundation reports that by 2035, the loss in gross domestic product would be as high as 2.5 trillion. The American worker does not benefit from increased electricity costs, job losses, lost income or decreasing GDP. The agreement also does not make America energy independent, but rather puts the country at the will of United Nations bureaucrats. Although proponents of the Paris Climate Agreement claim that the deal adequately addresses the fundamental issues surrounding climate change, evidence suggests otherwise. The deal is centered around a detrimental, top-down philosophy that puts the fate of energy and the economy in the hands of the federal government. This exact ideology is what American voters outright repudiated in the 2016 general election when they elected Donald Trump. Big government regulation and intervention is not the solution to climate change, and neither is forcing the United States to obey the bureaucrats of the UN. Is doubling down on regulations and increasing costs for the American worker worth such a limited effect on climate change? Of course not. In order to effectively tackle climate change issues without devastating American workers and the economy, President Trump must continue to roll back regulations and allow Congress to input and properly legislate, rather than entering the US into a deal without taxpayer or legislative consultation, per the previous administration. The administration should work to protect the American economy and the environment, simultaneously. The Obama-era Paris Climate Agreement does not address the true climate change issues and prioritizes big government regulation over the American worker.